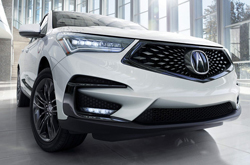 What's New for the 2019 Acura RDX? The all-new 2019 Acura RDX has been redesigned from the interior to the exterior. With its sporty design and luxurious amenities, this popular vehicle will surely attract new admirers. For starters, the 2019 Acura RDX is longer and wider than the previous year's model. This totally revamped SUV features variable ratio electric power steering and various drive modes. These modes include comfort, sport and sport plus. With its all-new engine (2.0L 4-cylinder turbocharged), the 2019 Acura RDX features more power than ever before. The standard front wheel drive feature provides greater fuel efficiency for vehicle owners. Interior changes include a rising center console and metal trim. The Acura RDX has undergone many changes. To learn more about the 2019 Acura RDX, visit or a contact Acura of Peoria. The 2019 Acura RDX is available in the following trim levels - Standard, Technology Package, A-Spec Package and Advance Package. The Standard trim features 17.1 gallons of fuel capacity, Jewel Eye LED headlights and sports seats with leatherette trim. The Technology Package features sports seats with premium leather, dual-zone climate control and Acura/ELS Studio premium audio system. 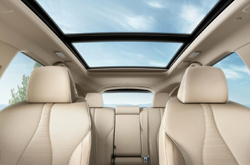 The A-Spec package features Acura/ELS 3D premium audio system, active sound control and heated/ventilated front seats. The Advance Package features front 16-way power seats, acoustic front side glass and rain-sensing windshield wipers. 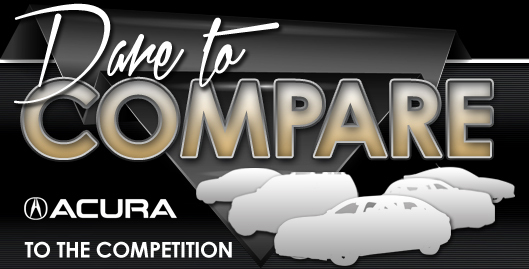 Although the color selections may vary depending on the trim selection, the 2019 Acura RDX exterior colors include White Diamond Pearl, Lunar Trim Metallic, Fathom Blue Pearl, Majestic Black Pearl, Performance Red Pearl, Canyon Bronze Metallic and Gunmetal Metallic. With Super-Handling All-Wheel Drive, the 2019 Acura RDX has sharper handling than its predecessor. Each trim level features 270 horsepower @ 6500 rpm. The 2019 Acura RDX is powered by a 16 valve, DOHC VTEC engine. The engine specifications enable this SUV to be responsive and agile. Our staff can provide you with additional information about this vehicle's engine specifications. 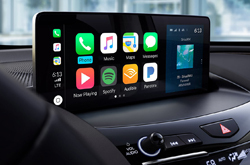 When it comes to dynamic and advanced safety features, the 2019 Acura RDX has a lot to offer its drivers and passengers. The Forward Collision Warning System provides a prompt alert when a vehicle is in front of your 2019 Acura RDX. The vehicle's adaptive cruise control adjusts your vehicle's speed according to the flow of the traffic. Lane Keeping Assist alerts you when your vehicle veers into another lane. The wide angle rear view camera provides expert assistance as you are backing out of parking spaces. 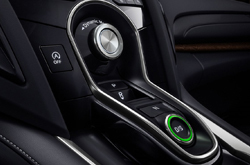 There are additional safety features on the 2019 Acura RDX that you must see. Visit Acura of Peoria to test drive and learn more about the 2019 Acura RDX.